“Great Heroes Day” (Maaveerar Naal) is a LTTE Event and not a Tamil National Day of Mourning. November 27th 1989 was the day on which the Liberation Tigers of Tamil Eelam(LTTE)first observed its annual “Maaveerar Naal” or Great Heroes Day (GHD). Twenty –seven years have passed since then and the 27th anniversary of the event is today Nov 27th 2016. In that context the evolution and growth of the Great Heroes day event makes an interesting study. This writer has in the past written several articles on the topic. This article therefore draws liberally from his earlier writings.Let me begin by tracing in brief the history of this event. A withdrawal of troops had been announced in principle. The Indian Parliamentary elections scheduled for December 1989 would determine whether Rajiv Gandhi would be re-elected or not. That verdict would in turn decide the fate of the Indian Army in Sri Lanka. The LTTE leader had in the meantime thought of honouring his dead cadres by observing a unique ceremony called Maaveerar Naal or Great Heroes Day. This writer saw the video cassette in which the event was recorded. Prabakharan was tracing the history of the LTTE while enraptured cadres listened. 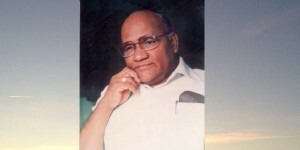 At one point he stated that Tamil United Liberation Front (TULF) Leader Appapillai Amirthalingam was killed by the LTTE. “Amirthalingam had supported Tamil Eelam at one time but later betrayed it. That is why we killed him. Tomorrow if Prabakharan betrays the Tamil Eelam cause then you all must kill me. Whoever betrays Tamil Eelam must be killed” the tiger leader pronounced then. Subsequently this “scene” was edited out of the video cassette that was widely circulated among the Diaspora. The nineties of the last century saw the LTTE controlling the greater part of the northern province and substantial pockets in the eastern province. During this period the LTTE developed to a great extent, the ceremonial aspect of paying homage to its fallen heroes. There existed in the martial tradition of the Tamils a concept known as Nadugal Valipaadu which literally meant worshipping the planted stone. Tombstones were erected at the graves of great heroes fallen in battle. 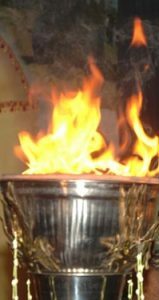 These were honoured regularly through special Panegyrical rituals.The classical Tamil literary works of the Sangham era are replete with references to this Nadugal Valipaadu concept. The decline of Tamil dynasties along with the advent of Moghul and Nayakkar rule followed by European colonialism saw the martial tradition among Tamils becoming debilitated. The custom of paying homage to heroes fallen in battle became non-existent in an environment where war was virtually unknown for generations.Now the LTTE went back to the roots of the Tamil martial culture and revived its most potent symbolic and ritual form. From 1991 the entire week from November 21-27, was declared as Great Heroes Week. 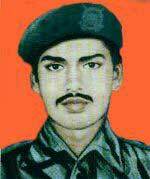 Interestingly the birthday of LTTE leader Prabakharan was November 26. Since this day was now within the Great Heroes Week more importance was attached to it. An outpouring of emotion both genuine as well as sycophantic emerged. Gradually the focus shifted from Great Heroes Day to the leader’s birthday. Some even thought that Great Heroes day was to celebrate the leaders birthday. Soon Prabakharan acted firmly and clamped down all festive activity connected with his birthday. The week was for the fallen heroes and the red letter day of that week would only be November 27, the Great Heroes Day he decreed.Nevertheless various religious observances were undertaken by followers and well wishers on November 26, seeking divine protection and blessings on the man who supposedly personified Tamil resistance to Sinhala chauvinist hegemony. Utilising its control to the maximum of the north and parts of the east during the 1990-1995 period the LTTE conducted elaborate demonstrations and events as part of observing the “Maaveerar Naal” and “Maaveerar Vaaram” (Great Heroes Week)The week culminated in a grand function on the 27th at a special location attended by Prabakharan himself. With the passage of time GHD ceremonies became decentralised. Several observances would be conducted simultaneously but pride of place however was naturally awarded to the one in which Prabakharan participated. The LTTE also established several cemeteries called “Maaveerar Thuyilum Illangal” (abodes where the great heroes slumber). Each of the departed cadres was marked by a single tombstone. In most cases the actual body of the dead cadre was not buried at the spot.Most bodies of dead cadres-if and when recovered- were disposed of with honours at the area of combat itself.While these tombstones were laid out in neat rows, a pavilion commemorating them collectively with names and relevant dates was also constructed. The setting up of the LTTE’s own radio station “Puligalin Kural” (Voice of Tigers) enabled it to be relayed out. With the development of information technology the speech was later relayed simultaneously via Internet. 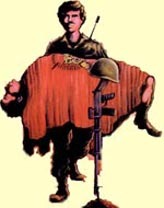 The LTTE also had its own “Nitharsanam” TV and GHD proceedings were telecast to the world at large from the Wanni.The emergence of several Tamil broadcasting stations in the western world created a situation where the speech was heard in Tamil homes throughout Europe, Australia and North America. Likewise the acquisition of various television stations by pro – tiger Tamils enabled wide televised coverage too. The primary ceremony however was at the site in which Prabakharan himself participated. A newly constructed memorial was the usual venue.After the LTTE flag was hoisted a display demonstration by selected squads from various units of the LTTE was held.A march past was held after which Prabakharan accepted the ceremonial salute. Prabakharan then began his address at 6. 05 pm the time that Shankar breathed his last.. The speech was usually about 30 to 40 minutes. 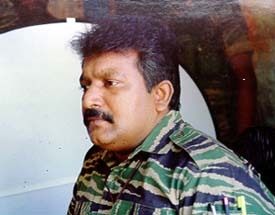 In a bid perhaps to reduce security related apprehensions cabinet minister and Colombo district MP Mano Ganesan suggested that Tamils in the north could observe great heroes day without mentioning the LTTE.That however would be difficult to do because the Great Heroes Day is a tiger event and is inextricably inter-twined with that of the LTTE. Attempting to observe “ Maaveera Naal “ without mentioning the “Viduthalaip Puligal” would be akin to relating the Ramayana tale without mentioning the name of Lord Rama. The conduct of the TNA regarded widely as a “moderate”political formation adds to the threat perception of the state regarding the GHD. What is disgusting about the politics of mourning adopted by the TNA was the scale of political hypocrisy! The LTTE now hailed as “Great Heroes” has in the past killed hundreds of Tamils who belonged to the constituent partners of the present TNA configuration.The TNA as a single political entity is yet to publicly mourn their comrades and colleagues slain by the LTTE. Yet some TNA leaders display no qualms about celebrating fallen tigers as great heroes. 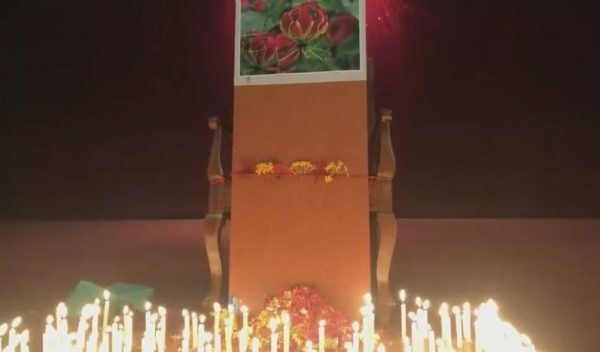 What is worse is the deceitful manner in which Tamil political leaders and sections of the media foster the myth that November 27th is a date of Overall Tamil sorrow and that Maaveerar Naal is a day of national mourning for the Tamils. This does not mean that Tamils do not mourn the loss of their loved ones.They do! November 27th therefore remains an important date in the politics of mourning in which Tiger and pro-tiger elements indulge in. It would however be a grave blunder to assume that the “Maaveerar Naal” of the LTTE is a day of National mourning for the Tamils of Sri Lanka.